Prepare to get thrill this Wednesday by enjoying 31% max MORE ice cream! Don’t forget to bring any pink items! It’s mid week and you need a break! 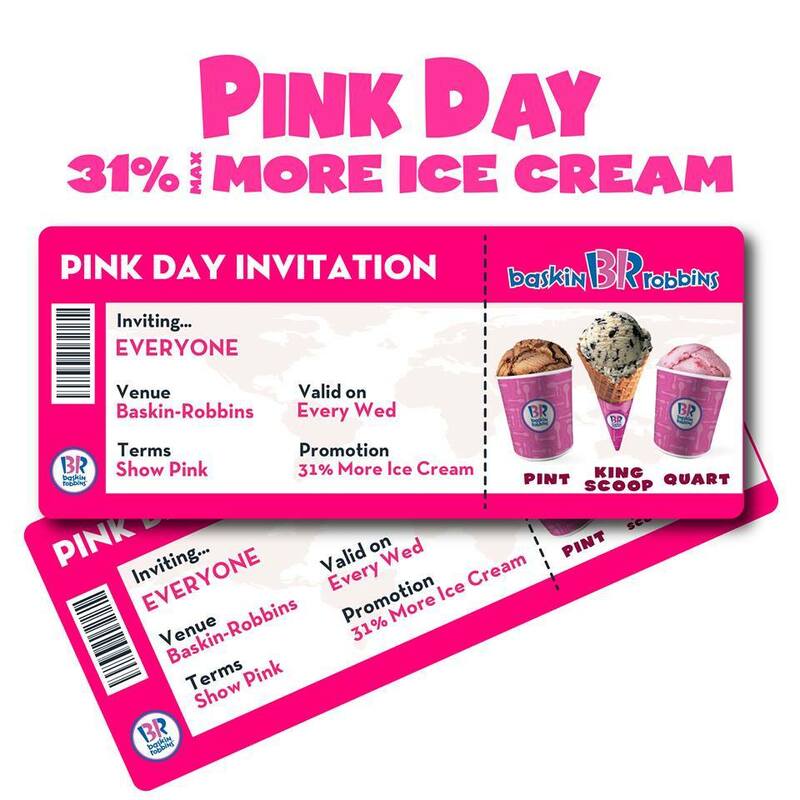 Wear any pink and reward yourself with 31% max MORE ice cream today! Let's get PINK-ish today to get 31% max MORE ice cream! Which store are you at now?